TRIUMPH VANCE AND HINES 2:1 SYSTEM. BRAND NEW Triumph Vance and Hines System, to fit the Street Cup, Twin and Street Scrambler range. This part is made exclusively by Vance and Hines for Triumph. Removable baffle included, much quieter with the baffle in, and there is a central sound suppressor which can also removed if you want really loud. Includes the carbon end cap. PHANTOM BLACK SIDE PANEL A9700591-PR. JET BLACK SIDE PANEL A9700591-PG. MATT BLACK SIDE PANEL A9700591-PS. Here at Total Triumph we pride ourselves on our friendly customer care and are proud to be The Triumph Solus. 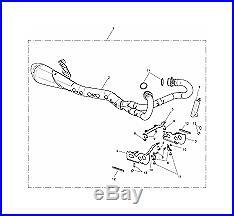 TRIUMPH GENUINE PARTS & ACCESSORIES. Probably one of the best feelings you can have after the "I've just bought my new bike" feeling, is the "I've just made my bike mine", feeling. Triumph Accessories individualise your bike and importantly, are developed at the same time as the bikes not as after thoughts. Get stuck into the Triumph Genuine Accessories and as you'll see, there's more than enough to keep everybody happy. 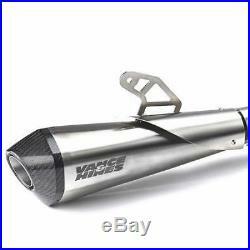 The item "Triumph Vance & Hines Street Twin Cup Scrambler 21 Exhaust System A9600620 60%" is in sale since Tuesday, August 21, 2018. 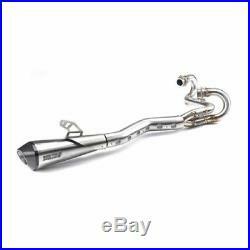 This item is in the category "Vehicle Parts & Accessories\Motorcycle Parts\Exhausts & Exhaust Systems\Slip-On Exhausts & Silencers". 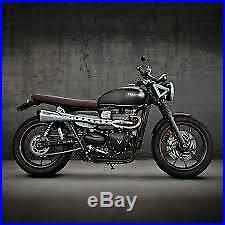 The seller is "thetotaltriumph" and is located in Taunton.